An interview with the lanky star of Whose Line is it Anyway?, who is in town for his own version of the show, called Whose Live Anyway? 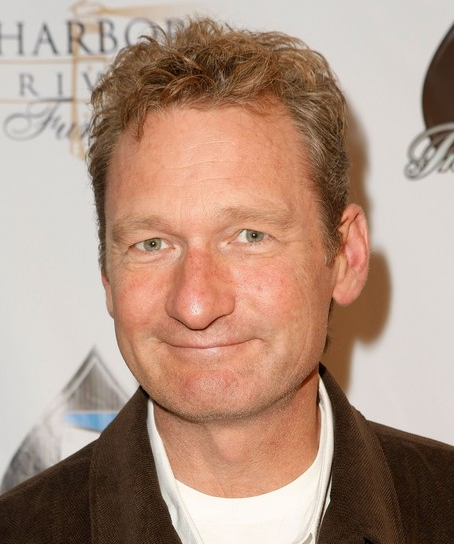 Ryan Stiles, the reddish blonde comedian with the physique and lopping physicality of a great blue heron, is best known for his lead role in the television comedy quasi-game show Whose Line is it Anyway? He’s old-fashioned and witty, like his colorful, spiffy ‘50s style shoes custom made by George Esquivel. Being the youngest of five funny Canadian brothers created a big, bounding dog who was born to play. Comedy is the only job Stiles has ever had, and he’s been a go-getter since the get go. The wise guy who drops out of high school to be a comic is not unknown, but how many of them shortly thereafter end up founding a comedy club? But stand-up comedy just didn’t suit Stiles, who heard the siren call of the Vancouver Theatresports League, a comedy conglomeration specializing in games-based improvisation. He migrated to The Second City in Toronto and eventually to the S.C. outpost in Los Angeles, where enjoyed steady gigging in film and television. In addition to his turn on the British version of in Whose Line is it Anyway?, he was in on the ground floor of Whose Line and is the only member besides Colin Mochrie to appear in every U.S. episode. Tired of California, Stiles moved back to Baja Canada, the Cascade Range that straddles Vancouver and Washington. He’s raising three children with his wife Patricia McDonald on the shores of Lake Samish, a place he values for its small town feel, where playdates aren’t scheduled for kids, they just show up at your door. He opened the Upfront Theatre for improv comedy in nearby Bellingham, Washington. Whose Live Anyway? features 90 minutes of comedy improvisation using suggestions from audience members, sometimes incorporating the people on stage. It hews to the clean and non-topical and is like the television Whose Line, but the bits will be a little longer and looser, with more music throughout. The audience, says Stiles, is intergenerational: Whose Line started in ’89 and a lot of people who grew up with it now have kids that they bring to the show. We caught Stiles by phone to chat a little about his upcoming show. TheaterJones: How many incarnations of the Whose Live Anyway? tour has there been? Ryan Stiles: These three guys I’ve been touring with for 10 years. It started about as nine or 10 people, but with that many you spend half the time just watching the show. With just four of us, we’re on all the time, so more fun for us. Is this tour a little more musically oriented? It is! We’re kind of confined under Whose Line, everything has to be a minute, minute-and-a-half, even music. We do a lot more music also because we bring along Bob Derkach, who played with Second City for about 30 years, so he’s really good, plus Chip and Jeff are incredible singers. Derkach seems to be not just a musician, but integral to the show. I notice the performers often look at him for feedback and reactions. The great thing about him is, and another thing we couldn’t do on Whose Line, is that he underscores scenes. I’ve worked with him since 1984. 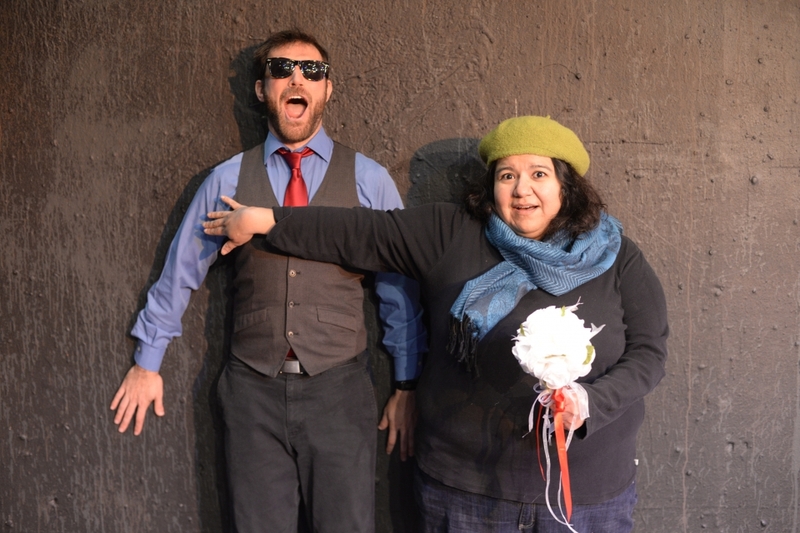 Improv comedy on stage is relatively new. You’re creating a new performing art form, which America did with jazz and, to a large degree, stand-up. Will we look back at improv performers of Whose Line as we do stand-up pioneers like Jack Benny and Alan King? I think I’ve already become the Tim Conway of my generation, because I grew up watching him on Carol Burnett and thinking “He’s old, but he’s funny,” so I’ve become that. Jonathan Winters and Sid Ceaser did Whose Line and when you think about it, TV was all live back then, so they were all improvisers. Jackie Gleason never knew his script. Art Carney had to adjust to whatever Gleason was saying. If that’s not improvising, I don’t know what is. 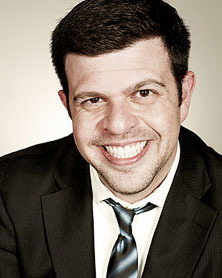 Stand-up has deep Jewish roots in vaudeville. Am I mistaken that there just aren’t many Jewish people in improv? I never thought about that, but you don’t really. I don’t know why that is. It fascinates me how much like sports improv can be. In sports, you are not paying for a performance, but to see skilled people execute their talents spontaneously. I think of it more like being in a band. You tour with the same guys, you might jam on your songs, but in music people do want to hear that hit and you don’t get that so much in comedy. Everybody is so competitive in sports, everybody wants to be better than the other guy, and you can’t have that in improv. It’s a team, but it’s different. You get to know these guys and there’s a trust between you. You never walk on stage thinking, “Gee, I hope I don’t bomb tonight.” You just go out there to have fun. You know it’s going to go well, you just don’t know how well. I don’t want that to sound cocky. In improv, the audience is invested in your succeeding. What we do is because of what they suggest. They see us having fun and they want to have fun, it’s infectious. What insights has improv given you into society? If you were to tell your child “This is the best wisdom about humans I got from job as a comedian,” what would you say? I see the good side of people a lot and I believe in karma, that if you treat people right it’s going to be good for you. And I raise my kids like that. I think that people are better than they think they are. They just get caught up in the way things are. There’s a quality in people they don’t always let out. They really are better than they think they are.